When it comes to football, I can't contribute much. I don't know the players, or which team is doing better than the others, or what and why they throw those flags on the field. But, when it comes to football parties, I bring plenty to the table. Literally. 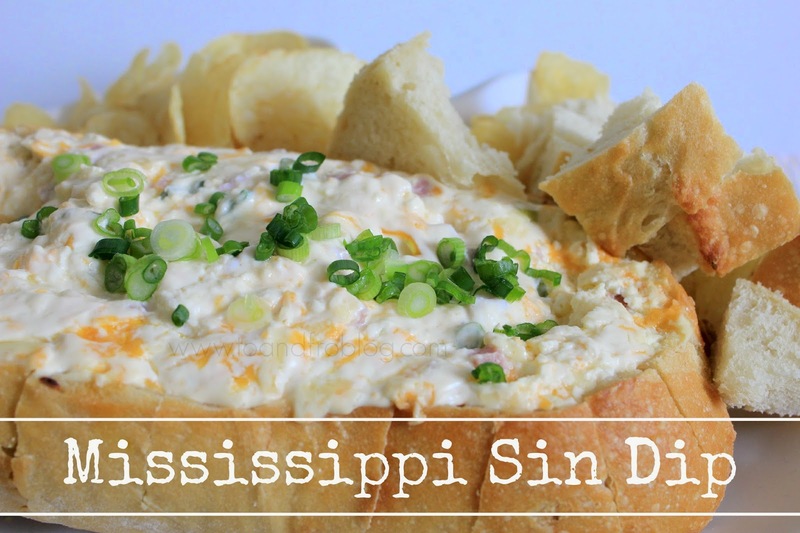 Including this deliciously easy cheesy dip, or Mississippi Sin Dip. If you're looking for something to spice up your next potluck, or planning for this weekend's Super Bowl party, make sure to add this recipe to the list. In a mixing bowl, combine all ingredients, except for the bread. Stir well until combined. Hollow out the centre of the loaf of bread, creating a bowl. Reserve the inside for dipping. Fill bowl with dip and wrap in aluminum foil. Bake for 1 hour. Serve with reserved bread, crackers or potato chips. Would you try this dip at your next party? What is your go-to potluck meal? This sounds amazing, and I am seriously impressed with your bread bowl - nice work! oooh this sounds fantastic. I'll have to try it out! Maybe it's cause it's so delicious it's sinful? No idea about the Mississippi thing though. I do know it looks like something I must try to make soon! 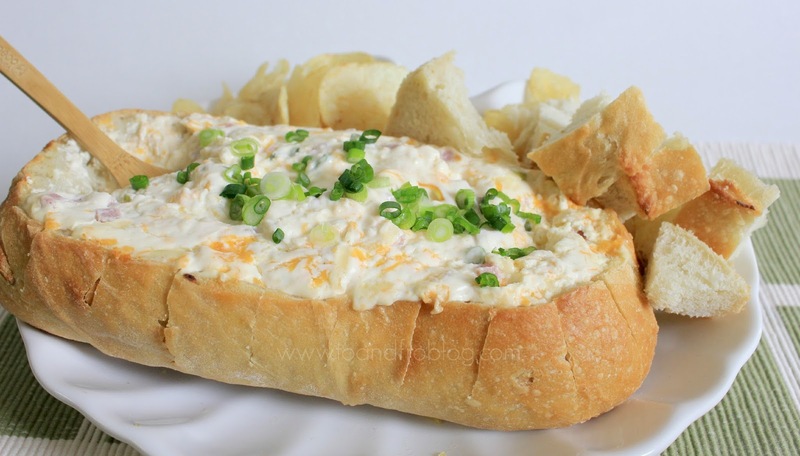 Too bad I didn't know about this before the big game, but cheese dips are always acceptable any day of the week.